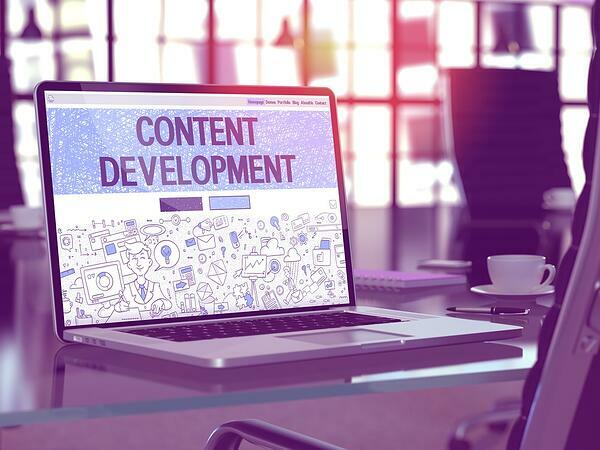 But it's not always a straightforward task when collaborating with different colleagues, teams, agencies and other stakeholders, who contribute to or influence your social content plans. 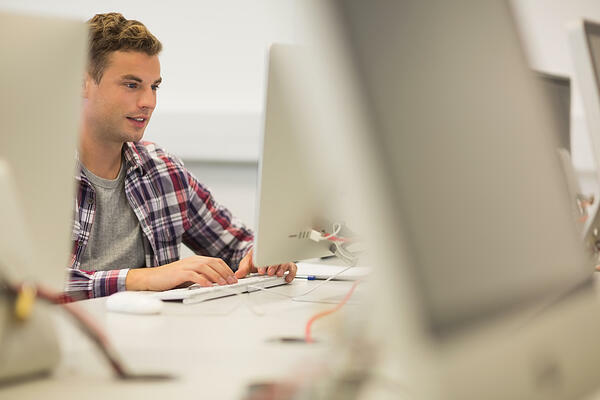 Spreadsheet planning systems can create more complexity than they solve, while other online scheduling tools often don't provide the full picture of visibility that today's social media professionals require if they are to capitalise on each opportunity to engage audiences with relevant content. Working closely with some of the UK's leading organisations and CrowdControlHQ clients, we've developed a new solution to the most common planning and scheduling challenges. 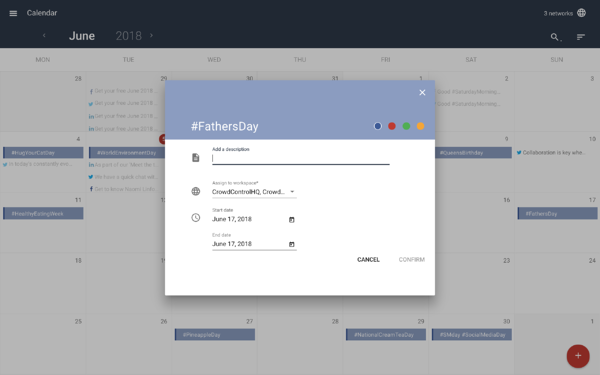 The new calendar brings all of your social media content planning and scheduling into a single screen, making it easier and faster to manage than ever before. Today, organisations need a clear and complete view of their social media content across all networks and channels. That's why we built an elegant solution for quicker and more effective planning, especially for individuals and teams working with multiple accounts, networks, clients or other stakeholders. 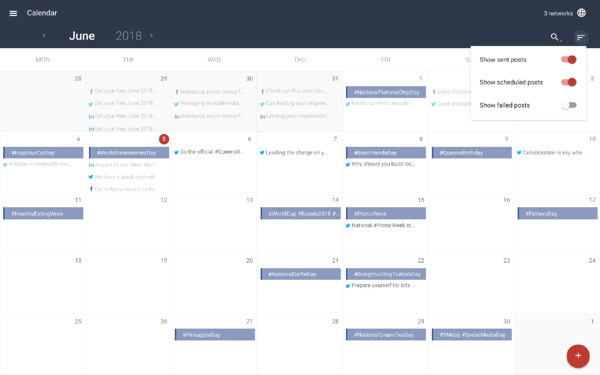 Using the calendar you can schedule new posts easily, and also edit existing posts all from a single screen. The sidebar displays a complete preview for posts that are already scheduled, and allows you to easily jump back into a post to edit its content, or even cancel a post if required. You also have the ability to add customisable notes alongside your content, making it simple for your team to collaborate on campaigns, daily or weekly themes, upcoming events or any other activities taking place where social media content is required or the social team should be ready and waiting to engage with other users' content being produced. A powerful search feature and filtering options allow you to easily define what, and how much content you see displayed on the calendar at any one time. For example, you can choose to view only scheduled content, content that has already been published, or both. 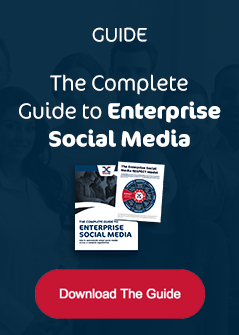 It is also extremely easy to view content for one specific social media network or account, or multiple accounts and networks at the same time, which is a key feature for teams managing tens or even hundreds of different channels. The CrowdControlHQ team use this to switch easily between our Twitter, Facebook and LinkedIn profile content. 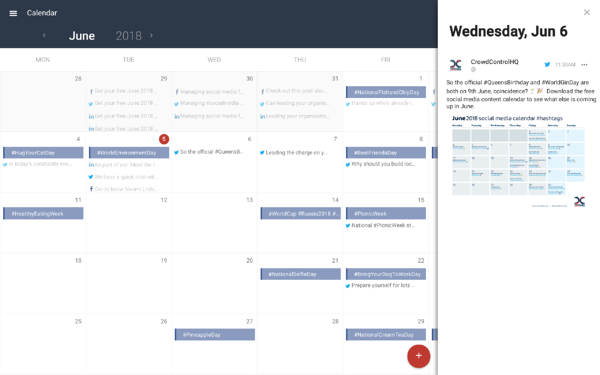 With the new CrowdControlHQ calendar, you can plan and schedule all of your social content for multiple accounts and multiple networks in one place, without burdening yourself or other teams with unnecessary back-and-forth work. 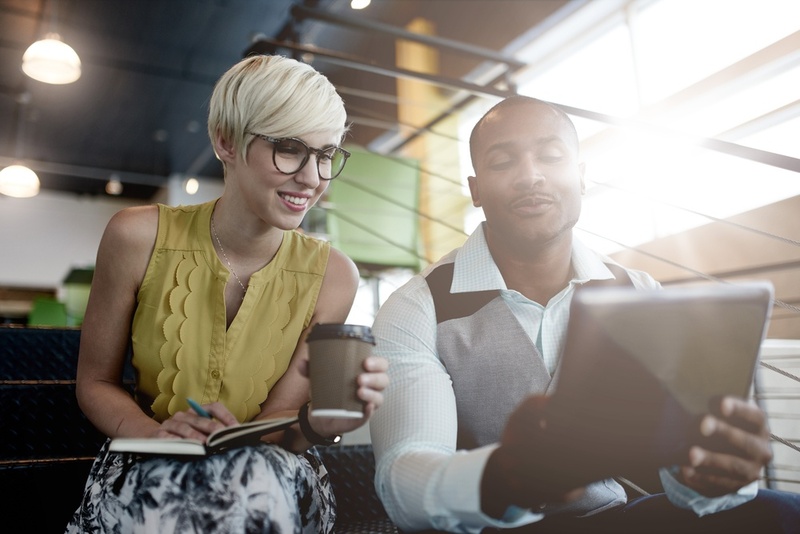 And since we believe all teams should have the ability to plan and schedule effectively like this, you're invited to request a free personalised demo to discover more.